Craig Collado (B.Arch. ’99, AS ’91) has joined WhiteSpace Architects as a project manager, returning to the company that he first joined as an intern in 2005. In that role, he is assisting in the design of a luxury residential project in Aina Haina and the renovation of a waterfront building adjacent to Honolulu Harbor. 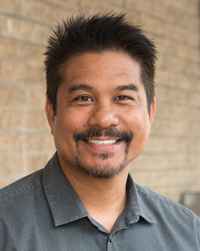 Most recently, Collado was a job captain/project architectural technician at G70. Other previous positions include senior associate architect at Peter Vincent Architects and intern architect at Garduque Architects. Born and raised on O‘ahu, Collado received a Bachelor of Architecture from UH Mānoa and an Associate of Science from Leeward CC. He is a resident of Mililani and graduated from Leilehua High School. For more on WhiteSpace Architects, click here.